I cannot think of other colours when talking about football/soccer. 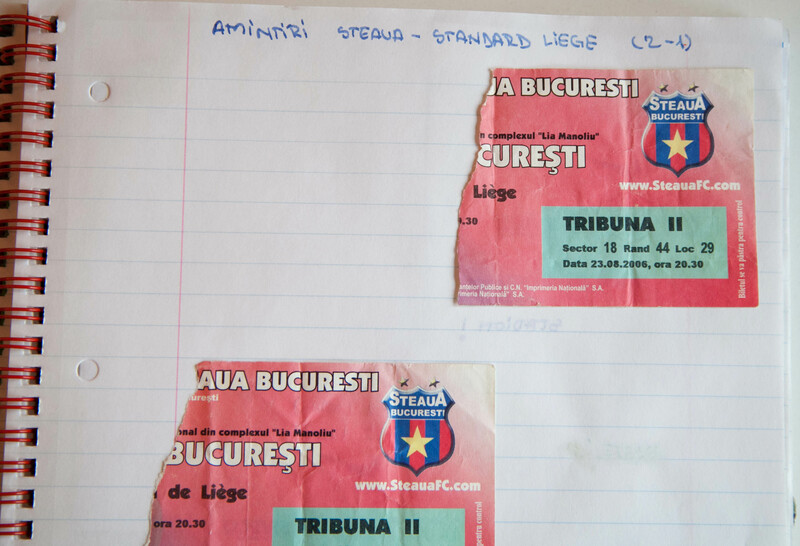 FC Steaua Bucharest is what I knew from childhood, what my family has taught me. We used to get together to watch the matches and celebrate. I even used to paint my nails in red and blue for this! I went on the stadium several times in order to support my fav team, I knew all their songs by heart and I loved their team. Even had a notebook made just for this. I remember the time when I first saw a match, my first time on a stadium. I was in highschool and went with my and her friends. Steaua won and then we went celebrating, I was flying the flag outside the window car and felt so happy! I even kept the tickets as memory, from that match and the others that followed. I still am a fan of theirs, but as I grew up I understood how the footbal/soccer system works in Romania, and when I did, I was a little bit disappointed. 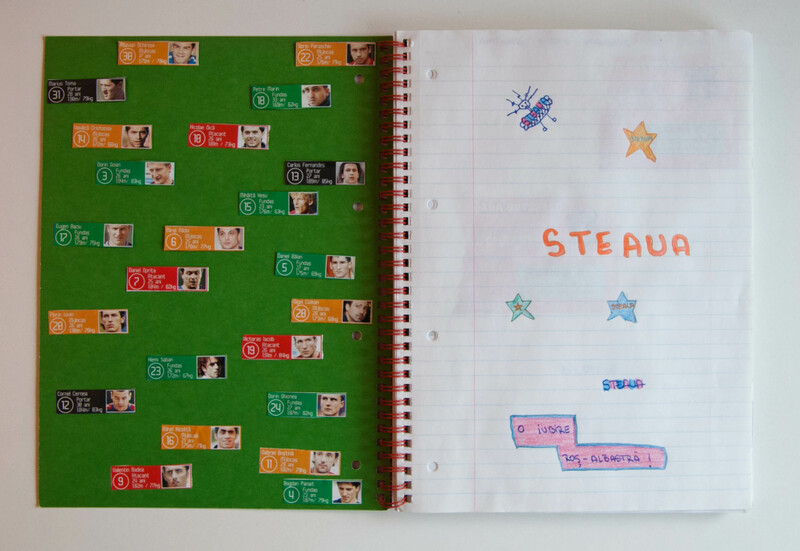 Despite all, I love my Steaua notebook and all the accessories I own – scarfs, bracelets, dogtags, slippers, etc.